Brazil became independent from Portugal in 1822. Its first Constitution, enacted in 1824, already set forth that parties to a civil dispute could submit it to arbitrators (Article 160). Successive codifications had specific sections to regulate the arbitration agreements and proceedings, such as the Civil Code of 1916, the Code of Civil Procedure of 1939 and the Code of Civil Procedure of 1973. However, commercial arbitration never gained real traction during the 19th and 20th centuries, mostly because pursuant to then-existing rules (1) the parties had little to no room to adjust statutory procedural rules to the specificities of the dispute and (2) the arbitral award had to be later submitted to a court of law for ratification. Those codifications are no longer in force. Arbitration became popular following the enactment of Law No. 9,307, dated 23 September 1996 (BAA).2 The BAA was enacted in the context of the opening of local economy to foreign investment in the 1990s. It does not require that domestic awards be ratified by local courts of law so they are immediately enforceable, and although it mandates that foreign awards be ratified in court it does not contemplate judicial review on their merits. Brazil has since seen a steady growth in the number, complexity and value of arbitration proceedings and is now widely considered an arbitration-friendly jurisdiction. That reputation is well deserved. First, over the course of the past 15 years Brazilian appellate courts – especially the Superior Court of Justice (STJ), which is the highest court for matters of interpretation and application of the BAA – have repeatedly safeguarded the enforceability of arbitration agreements and proceedings against interference from the judiciary. On top of that, some lower courts and appellate courts have concentrated commercial arbitration matters, thereby increasing the quality and uniformity of the judicial interpretation of the BAA. In the state of São Paulo, for instance, two chambers of the state Court of Appeals as well as two lower courts in the city of São Paulo are exclusively in charge of matters involving business law (including arbitration). the Centre of Arbitration and Mediation of the Brazil-Canada Chamber of Commerce (CAM-CCBC), with its main offices in the city of São Paulo. Third, the number of practitioners and researchers has been on the rise, including in the public sector. Familiarity with the main aspects of arbitration has increased thanks to postgraduate courses, academic papers, conferences and associations like the Brazilian Arbitration Committee (CBAr). Fourth, legislation passed after the BAA has also strengthened it. For example, a new Civil Procedure Code was enacted in 2015 (Law No. 13,105, dated 16 March 2015 (CPC)) and it prevents courts of law from interfering with a party's decision to refer disputes to arbitration. There is no meaningful statutory distinction between domestic and foreign arbitration. The BAA and other rules such as the CPC, the 1923 Geneva Protocol,10 the 1958 New York Convention11 and the 1975 Panama Convention12 equally apply to both, partly as a result of the very ratification of those treaties and the equitable treatment granted to nationals and foreigners thereunder. There are limits to the arbitrability of disputes under the BAA, from the perspective of both personal and material scope of arbitration agreements. As to material scope, Article 1 of the BAA sets forth that economic claims that the parties are allowed to assign, sell, waive or settle may be submitted to arbitration. That category encompasses nearly all civil and commercial claims that could stem from business arrangements between private parties. A specific issue involving contracts of adhesion is the inclusion of arbitration clauses in the by-laws of Brazilian corporations, and whether or not shareholders must expressly consent thereto. On top of amending the BAA, Law No. 13,129/2015 also amended the Brazilian Corporations Act (Law No. 6,404, dated 15 December 1976), which now sets forth that (1) if the inclusion of an arbitration clause is approved at a shareholders' meeting, then all shareholders will be bound thereby, but (2) any dissenting shareholder will have the right to withdraw from the corporation within 30 days following publication of the minutes of the meeting and then have its shares redeemed by the corporation in cash (the redemption right).18 That is a sensible compromise between the majority principle that permeates the law of corporations and the principle of consent that permeates arbitration law. Parties may enter into an arbitration agreement either before any dispute has arisen (in the form of an arbitration clause) or after, either in or out of court (in the form of an arbitration undertaking). Upon agreeing on an arbitration clause, parties are free to choose whether to elect in advance a specific arbitral institution or its rules of arbitration (institutional arbitration), and whether to regulate other aspects of the dispute (e.g., the number of and mechanism to appoint the members of the tribunal, and where it will be seated) – the existence, validity and enforceability of the arbitration clause do not depend on such election. If that election has been made, the arbitration clause is deemed to be 'full'; conversely, if the parties have simply agreed to arbitrate their disputes without mention of arbitrators or existing arbitral institutions, this is called an 'empty' clause. If a party bound by an 'empty' clause refuses to engage in arbitration, then the party willing to commence arbitration may sue to compel the respondent to execute an arbitration undertaking; if it prevails, the court award will serve as the arbitration undertaking and the court will have the power to lay out the applicable procedural rules and even appoint a sole arbitrator.19 Obviously, parties should endeavour to agree 'full' clauses to insulate them from court interference. The autonomy of the arbitration agreement as a standalone and severable contract, the validity of which is not contingent upon the validity of the underlying legal relationship, is expressly affirmed in Article 8 of the BAA. As a direct consequence of such autonomy and severability, the sole Paragraph of Article 8 enshrines the Kompetenz-Kompetenz principle, setting forth that the tribunal is vested with the jurisdiction to decide on the existence, validity and enforceability of the arbitration agreement and of the contract in which the arbitration clause is inserted. Accordingly, pursuant to Article 485, item VII, of the CPC, the court must dismiss a lawsuit without prejudice not only if it acknowledges the existence of an arbitration agreement, but also if the arbitral tribunal has already affirmed its own jurisdiction over the dispute. There are no courts that have jurisdiction only over lawsuits involving arbitration. A concerted effort of the judiciary in 2015 caused each state capital in the country to have no less than two lower civil or commercial courts specialise in and concentrate those lawsuits. The State Court of Appeals of São Paulo also has two chambers specialised in business disputes, including arbitration. Lawsuits involving a state or city public law entity will be processed and ruled on by state treasury and public law courts. Lawsuits involving a federal public law entity will be processed and ruled on by federal courts. Courts may be asked to (1) rule on requests for injunction and other interim measures before the tribunal has been formed, (2) enforce interim decisions and procedural orders entered by the tribunal, (3) enforce the arbitral award or (4) rule on a suit for annulment of the award. Articles 22-A and 22-B of the BAA regulate interim relief. Before arbitration has been formally instituted (i.e., before all arbitrators have accepted their appointment), the request may be submitted to the judiciary initially, and the tribunal will later have the power to uphold, modify or quash the court ruling.40 After arbitration has been instituted, all requests must be submitted to the tribunal. Should a party or third party fail to voluntarily comply with a procedural order in the context of domestic proceedings, the tribunal may issue a document called an arbitral letter to the competent court of law for cooperation. The court will enforce the order and perform actions as determined by the tribunal (e.g., forcing a witness to attend a hearing, or freezing a party's assets), and may not revisit the merits of the order. As to the enforcement of awards, although the BAA applies equally to domestic and international arbitration, it does differentiate between domestic and foreign awards, and this has a direct impact on enforcement. Pursuant to Article 34, sole Paragraph, of the BAA, an award will be deemed to be foreign if it has been entered abroad. The defining parameter of the nationality of the award is strictly the venue where it is entered. On the legislative front, two federal statutes passed last year extended the scope of arbitration. From a legal standpoint, the STJ had to rule on 15 disputes over the ratification of foreign arbitral awards in 2017, which is the highest yearly total since the STJ was vested with such jurisdiction in January 2005. It ratified 14 of those awards (one of which partially). The most consequential precedent is Ometto v. Abengoa – precisely the one in which the request for ratification was denied.57 Five Abengoa Bioenergy entities sought to ratify two US ICC awards the aggregate principal value of which equated to almost US$120 million. Respondents claimed that the chairman of the tribunal lacked impartiality because he had failed to disclose that the law firm at which he was a senior partner earned substantial fees from Abengoa while the arbitration was pending and assisted First Reserve in the acquisition of interests in the parent company of Abengoa, and they also claimed that such circumstance violated Brazilian public policy. The STJ entered a majority opinion finding in favour of respondents. The opinion has raised controversy, because (1) the work performed by the chairman's firm was unrelated to the dispute as it regarded investments in solar energy in the United States by Abengoa Solar entities, (2) the firm's client in that deal was in fact the US Department of Energy and not Abengoa Solar, who had to bear the fees pursuant to applicable regulations, (3) the STJ inferred that the chairman has an interest in the outcome of the dispute because his firm would indirectly benefit from its client First Reserve profiting from the victory of an Abengoa entity, (4) the chairman never personally acted as counsel for Abengoa, and (5) the STJ held that a conflict of interests would be configured even if the chairman was unaware of the firm's assistance to Abengoa. The key takeaway is that the STJ has adopted a very low bar in interpreting what facts must be disclosed by arbitrators and what may configure a case for recusal under the BAA and the general due process clause. Petrobras v. ANP was one of the most relevant STJ opinions on arbitration in 2017.59 For context: (1) Petrobras is a publicly traded, federal government-controlled oil and gas company, whereas the ANP is the federal oil and gas agency; (2) the ANP had licensed some offshore oilfields located in the state of Espírito Santo to Petrobras in 1998 through a concession agreement containing an arbitration clause; (3) Espírito Santo was not a party to the agreement but earned a portion of the revenue it generated;60 (4) the ANP unilaterally resolved to consolidate all oilfields into one in 2014, resulting in an increase in the royalties payable by Petrobras to the ANP and Espírito Santo; (5) Petrobras initiated arbitration before the ICC against the ANP and obtained an injunction halting any changes to the concession agreement; (6) the ANP and Espírito Santo obtained a court injunction to stay the arbitration proceedings, and the conflict was eventually submitted by Petrobras to the STJ. The STJ had to determine whether the dispute falls into the material scope of the arbitration agreement, and whether jurisdiction is vested with local courts as a result of Espírito Santo not being a signatory to the arbitration agreement but being potentially affected by the arbitral award. It favoured arbitration in both respects. First, it deemed the claim assignable, hence arbitrable, on the grounds that the concession agreement itself is basically a contract under which the ANP temporarily transferred to a third party the rights to operate and profit from oilfields. Second, it recognised the tribunal's jurisdiction to determine whether it is necessary to have Espírito Santo join the arbitration, and Espírito Santo's right to join the proceedings to preserve its rights. The first finding will be valuable in limiting public law entities' ability to evade arbitration by arguing the existence of 'public interest' in the dispute. The second finding has the merit of ensuring the precedence of the Kompetenz-Kompetenz principle and the effectiveness of the arbitration clause between the ANP and Petrobras regardless of the intervention of Espírito Santo, but it is questionable whether Espírito Santo could be forced to join or be bound by the award if it does not, as it never consented to the arbitration clause explicitly or tacitly. The STJ has been asked to interpret the applicability of and limits to the Kompetenz-Kompetenz principle under the BAA and has repeatedly aligned with the position that prevails in France, according to which the judiciary may only address the validity and enforceability of the arbitration agreement ex post.61 Kreditanstalt v. CGTEE is a significant precedent in that regard.62 CTGEE argued that the police attested the inauthenticity of the signature on the arbitration agreement, thereby rendering the consent to arbitrate inexistent. Reporting Justice Paulo de Tarso Sanseverino and Justice Nancy Andrighi (who had entered an opinion in 2016 allowing the judiciary to void the arbitration agreement ex ante under exceptional circumstances)63 deemed that a criminal issue, and therefore public interest, was involved and therefore the Kompetenz-Kompetenz principle could be relativised. The majority, however, took a conservative, pro-arbitration stance and found that allowing the judiciary to rule on the authenticity of the signature would equate to preventing the tribunal from ruling on the existence, validity and enforceability of the arbitration agreement, in violation of the BAA. One very important precedent from the State Court of Appeals of Rio de Janeiro involved the construction of the Jirau power plan and the enforceability of an arbitral award during the suit for annulment filed by the defeated party.66 An arbitral award had been entered in favour of constructor Camargo Corrêa against the consortium in charge of the power plant. The consortium filed a suit for annulment and sought an injunction to stay the effects of the award, arguing that the tribunal had unduly denied requests for production of evidence and therefore had violated due process. The lower court granted the injunction but the appellate court reversed that ruling and allowed immediate enforcement of the award, thereby also favouring arbitration. The parties settled shortly thereafter. 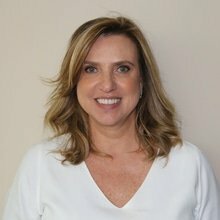 Brazil is not bound by any bilateral investment treaties and is not a party to the Convention on the Settlement of Investment Disputes between States and Nationals of Other States (the ICSID Convention). As a result, the country is not involved in investor–state disputes as the term is customarily understood. Notwithstanding this, under the 2015 amendments to the BAA, there is now a broad statutory permission for public law entities (including the federal government) to submit disputes of an economic and assignable nature to arbitration. Despite the lack of binding treaties, disputes between investors and the state may be resolved by ordinary international commercial arbitration. Some ongoing proceedings will draw attention from the arbitral community, two of which can be highlighted. One of them is a request for arbitration filed with the CAM by minority shareholders of Petrobras who seek damages against the company for the loss in share value resulting from corruption schemes within it. This is an interesting dispute because it purports to mimic the mechanics of a US-style class action, allowing additional shareholders to join as co-claimants. According to local media outlets, some of the largest local pension funds have joined. However, this mechanism is unprecedented in Brazil and its validation by the tribunal is uncertain.67 If the claim is allowed to proceed, similar proceedings may ensue against Petrobras itself and other corporations involved in corruption probes, such as Eletrobras and JBS, both of which have already been sued by investors in the United States. The other one is the battle between Oi and its largest individual shareholder Bratel. This dispute will involve a discussion about how to reconcile the Kompetenz-Kompetenz principle and the court's jurisdiction over business restructuring proceedings. Oi is the leading fixed-line carrier in the country and made the largest-ever in-court restructuring filing under the BIA. The recovery plan was submitted by Oi's management and approved by creditors without any input from the shareholders, despite the fact that it contemplates a capital raise, a debt-for-equity swap and changes to the board of directors. On one hand, a court of law presides over the restructuring proceedings and found that shareholders may not oppose the approved plan. On the other, Bratel commenced emergency proceedings before the CAM pursuant to the arbitration clause in Oi's by-laws and was granted an injunction to prevent Oi from implementing the plan without prior shareholder approval. The matter has been referred to the STJ, which has entered an injunction in favour of Oi determining that all requests for interim relief must be addressed to the judiciary. As for potential trends, a gradual increase in the number of disputes involving public law entities is expected in the short run, following the 2015 amendment to the BAA, Decree No. 8,465/2015 and Law No. 13,448/2017, and given the overall increasing familiarity of public officials with arbitration.68 Disputes over large infrastructure projects may arise, as well as other disputes caused by the ripple effect of Petrobras's current financial struggles on the oil and gas sector and throughout Petrobras's supply and demand chains. The 2017 amendment to the Codification of Labour and Employment Laws was received with some enthusiasm and local institutions started preparing for a rise in the number of proceedings. However, it is unlikely that more than a handful of high-profile disputes will arise in the short term. Top executives have incentives to resort to the judiciary first, because labour courts are historically protective towards workers and may void the arbitration clauses regardless of recently enacted statute. Real growth in this field might still be a few years away and will depend on case law from higher courts, but it is worth keeping a close eye on this topic meanwhile. All in all, it is clear that Brazil will continue to be a safe harbour for commercial arbitration and a key jurisdiction for international practitioners. There are no signs that the demand for work in domestic and cross-border disputes will slow down any time soon. 1 Angela Di Franco is the head and Rafael Zabaglia is a partner of the dispute resolution practice of Levy & Salomão Advogados. 2 The BAA was amended by Law No. 13,129, dated 26 May 2015. All references are to the BAA as amended. An English version of the BAA is available on http://cbar.org.br/site/en/brazilian-legislation/law-no-9-307-96-english/. 3 Pursuant to Article 5, item XXXV, of the Constitution, no statute may prevent the judiciary from ruling on any violations or threatened violations to a right. Upon ruling on an appeal in the context of request for ratification of foreign award (homologação de sentença estrangeira) No. 5,206, the Supreme Court found that the submission of disputes to arbitrators is not inconsistent with the Constitution. The precedent was especially important because a by-product was the validation of international commercial arbitration. 4 The CAM is affiliated with the São Paulo Securities, Futures and Options Exchange and specialises in matters involving capital markets. 5 See: 'Anuário da arbitragem no Brasil 2016', available on http://www.cesa.org.br/media/files/anuario_consolidado2016.pdf. The CESA Study includes data from the Camarb, CAM, Ciesp/Fiesp, Amcham and CAM-CCBC. The latter institution did not disclose some of the numbers, and the FGV did not participate at all. 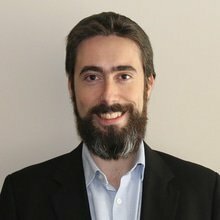 The CESA Study has found that: (1) almost all disputes were governed by Brazilian law (the CAM-CCBC did not report); (2) only 29.4 per cent of the parties to CAM proceedings were foreign, and that number was even lower among the other institutions (CIESP/FIESP at 17.4 per cent, CAM-CCBC at 15 per cent, Camarb at 6 per cent and Amcham at zero per cent); and (3) proceedings usually take 20 months to conclude (Amcham's took 25 months). 6 See: https://iccwbo.org/media-wall/news-speeches/icc-announces-2017-figures-confirming-global-reach-leading-position-complex-high-value-disputes/. Although there are no reliable statistics on the matter, the ICC is the leading foreign institution for international commercial arbitration involving Brazilian parties or contracts governed by Brazilian law. 7 See: LEMES, Selma. 'Arbitragem em números e valores', April 2017, available on http://selmalemes.adv.br/artigos/An%C3%A1lise-%20Pesquisa-%20Arbitragens%20Ns%20%20e%20Valores%20_2010%20a%202016_.pdf. 10 The 1923 Geneva Protocol (Protocol on Arbitration Clauses) entered into force pursuant to Decree No. 21,187, dated 22 March 1932. 11 The 1958 New York Convention (Convention on the Recognition and Enforcement of Foreign Arbitral Awards) entered into force pursuant to Decree No. 4,311, dated 23 July 2002. 12 The 1975 Panama Convention (Inter-American Convention on International Commercial Arbitration) entered into force pursuant to Decree No. 1,902, dated 9 May 1996. 13 Article 1, Paragraph 1, of the BAA. The 2015 amendment to the BAA is important due its unqualified permission to all public law entities. Previously, engagement in arbitration was conditioned on the existence of specific legal permission (e.g., in the context of the concession of public utilities under Law No. 8,987, dated 13 February 1995, as amended by Law No. 11,196, dated 21 November 2005) or on precedents from the STJ. 14 Law No. 13,448/2017 is not the first legislation to that effect. As regards objective arbitrability, its content partially mirrors that of Decree No. 8,465, dated 8 June 2015, which regulates arbitration between the federal government and port operators. 15 Pursuant to Enunciation No. 13 of the Meeting, disputes involving breach of contractual duties by either party, correction of contractual imbalances and financial and economic covenants may be arbitrated. The Meeting was an event held in August 2016 by the STJ and the Council of the Federal Judiciary ('Conselho da Justiça Federal') for academic discussion of momentous aspects of alternative dispute resolution methods. Enunciations were issued to summarise the understanding of the majority of the attendants, and became an important secondary authority. 16 Albeit Article 4 of the BAA refers solely to 'contracts' as the underlying relationships to which the arbitration agreement may relate, this should not be interpreted as a limitation. Pursuant to Article II.1 of the 1958 New York Convention, Brazil recognised arbitration as a dispute resolution mechanism 'in respect of a defined legal relationship, whether contractual or not'. 17 Article 51, item VII, of the Consumer Defence Code (Law No. 8,078, dated 11 September 1990). 18 There is a statutory carve-out that prohibits dissenting shareholders from exercising their redemption right if the corporation's shares are (or are intended to become) characterised by liquidity and dispersion on the market. 19 Articles 6 and 7 of the BAA. 20 According to the CESA Study, none of the ICC (as regards Brazil-related matters), Amcham, CAM, Camarb, CAM-CCBC and CIESP/FIESP administered disputes in equity in 2016. 21 Article 2 of the BAA. 22 Article 2, Paragraph 3, of the BAA. Pursuant to Enunciation 11 of the Meeting, public law entities can elect to have their disputes governed by international trade rules and by customary practices of the relevant sector. 23 Appeal No. 1,602,076-SP, Justice Nancy Andrighi, opinion dated 15 September 2016. That precedent has been echoed by state appellate courts in São Paulo (appeal No. 1119030-13.2017.8.26.0100, Justice Grava Brazil, opinion dated 10 April 2018; appeal No. 1066764-48.2014.8.26.0100, Justice Cesar Ciampolini, opinion dated 21 March 2018; appeal No. 1029021-94.2016.8.26.0405, Justice Hamid Bdine, opinion dated 6 March 2018) and Rio de Janeiro (appeal No. 0010204-74.2018.8.19.0000, Justice Luiz Fernando de Andrade Pinto, opinion dated 11 April 2018). 24 Article 13 of the BAA. 25 The CESA Study has interesting information on local tribunals (with the caveat that the CAM-CCBC did not report): (a) no foreign arbitrators were appointed, and (b) while the vast majority of the cases involved three-member tribunals, almost all awards were unanimous. 26 Article 13, Paragraph 6, of the BAA. 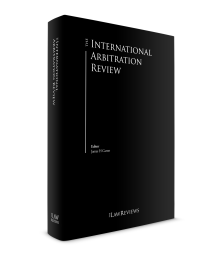 27 The IBA Guidelines on Conflicts of Interest in International Arbitration may also be applied in assessing whether an arbitrator is conflicted and must be recused. 28 Article 19 of the BAA. 29 Article 20 of the BAA. Per the CESA Study, challenges against the appointment of arbitrators were rare in 2016 and the success rate was low. With respect to the Amchan, CAM-CCBC, Camarb and CIESP/FIESP, there were nine challenges overall, just four of which were successful. 30 Article 21 of the BAA. 31 Article 22 of the BAA. The BAA has scarce provisions on evidence production, and references to the IBA Rules on the Taking of Evidence in International Arbitration have become more common among domestic tribunals (who might otherwise have to apply the CPC). 32 Article 2, Paragraph 3, of the BAA. There is debate over how much publicity may be given to the existence, content and status of the proceedings in relation to the desired confidentiality of arbitration, and who should be responsible for such publicity. The prevailing understanding in the legal community is that publicity does not equate to unlimited public access to all copies of and information on the dispute; pursuant to Enunciation No. 4 of the Meeting the public law entity is responsible for complying with publicity duties and those duties may be mitigated pursuant to the law as the tribunal may deem applicable. Accordingly, the Camarb updated its rules of arbitration in September 2017 to include specific provisions on the matter; Chapter XII of the revised rules (1) sets forth that the Camarb must disclose solely the existence of, the identity of the parties to and the date of commencement of the proceedings, (2) continues to deny third-party access to hearings and submissions, and (3) sets forth that it is incumbent upon the public law entity to provide publicity as applicable. Other domestic institutions are expected to follow suit. 33 Article 2, sole Paragraph, item XXII, of Regulation No. 358, dated 3 January 2002, as amended by Regulation No. 590, dated 11 September 2017, issued by the Brazilian Securities Commission. In fact, under Regulation No. 358/2002 publicly traded corporations must disclose any material event that could affect an investment decision. Because there are no specific standards of materiality and disclosure, in practice public filings are usually limited to high-level information on the existence of a dispute, the parties thereto, and the advent of injunctions and awards. 34 The CAM-CCBC issued an administrative regulation in 2016 recommending, but not mandating, that parties disclose the existence of third-party funding and the identity of the funder. 35 Articles 5, item LX, and 93, item IX, of the Constitution and Article 189, caput, of the CPC. 36 The State Court of Appeals of São Paulo has twice ruled that confidentiality extends to the enforcement of the award (appeal No. 2131353-42.2017.8.26.0000, Justice Afonso Bráz, opinion dated 29 September 2017; appeal No. 2025056-45.2016.8.26.0000, Justice Hamid Bdine, opinion dated 15 Jnue 2016). State Justice Cesar Ciampolini ordered in January 2018 the partial unsealing of the court records of a dispute between Lactalis and Vigor over the acquisition of equity in Itambé by Lactalis (appeal No. 2000530-43.2018.8.26.0000), so that the confidentiality of parties' briefs and evidence produced be preserved but that all court decisions be made public, considering that the press has been publishing several accurate reports on the lower and appellate court rulings, thereby rendering the seal useless. 37 Articles 24, 26, 27 and 29 of the BAA. 38 Article 23, Paragraph 1, of the BAA. According to the CESA Study, partial awards were commonplace in ICC proceedings involving Brazil (140) but far scarcer when it comes to local institutions (13 in the aggregate of CIESP/FIESP, CAM, Camarb and Amcham). 39 Article 30 of the BAA. 40 The STJ has found that once the tribunal has been formed the jurisdiction of the court of law ceases immediately and the court files must be remitted to the tribunal (appeal No. 1,586,383-MG, Justice Maria Isabel Gallotti, opinion dated 5 December 2017). Among the largest domestic institutions, the CAM is the only one whose rules of arbitration provide for emergency proceedings – and even then the party may only request the appointment of an emergency arbitrator if the arbitration agreement contains specific reference thereto (Section 5.1 of the CAM rules). Per the CESA Study, the CAM administered just one such case in 2016. 41 Articles 18 and 31 of the BAA; Article 515, item VII, of the CPC. 42 Articles 525, Paragraph 1, 535 and 536, Paragraph 4, of the CPC. 43 Article 105, item I, sub-item (i), of the Constitution. 44 Article 36 of the BAA; Article 960, Paragraph 3, of the CPC. The Internal Rules ('Regimento Interno') of the STJ are also an important primary authority on the matter. 45 Article 37 of the BAA, in line with Article IV of the 1958 New York Convention. 46 Articles 38 and 39 of the BAA, in line with Article V of the 1958 New York Convention and Article V of the 1975 Panama Convention. 47 Article 961, Paragraph 2, of the CPC. 48 Article 109, item X, of the Constitution. 49 Articles 32 and 33 of the BAA. Pursuant to Article 33, Paragraph 3, those arguments may also be raised by the defeated party upon submitting its defence in the enforcement proceedings. 50 Article 33, Paragraph 4, of the BAA. 51 Article 83 of the CPC. 52 On a separate but related note, the Governor of Rio de Janeiro passed Decree No. 46,245, dated 19 February 2018, expressly allowing the state public law entities to agree arbitration in connection with any contracts in excess of 20 million reais, and some specific types of contracts regardless of value. This is a breakthrough regulation as far as states and cities are concerned. Provisions about publicity are especially noteworthy: (a) the arbitral institution may provide basic information on the dispute upon request, (b) the Office of the State Attorney must make all briefs, expert reports and decisions available upon request, provided that statutory confidentiality (e.g., trade secrets and sealed court files) must be preserved, and (c) hearings will be private. 53 The threshold is currently BRL11,291.60 per month. 54 For reference, upon enacting the BAA the President vetoed language that would have allowed executives to submit employment disputes to arbitration. 55 A few months earlier, an appellate labour court in the state of Rio de Janeiro had found that the arbitration agreement between local bank BTG Pactual and one of its top officers in connection with a non-compete covenant was valid (appeal No. 0011289-92.2013.5.01.0042, Justice Enoque Ribeiro dos Santos, opinion dated 11 April 2017). 56 See: http://www.iccbrasil.org/noticias/2018/3/20/new-hearing-center-icc-in-brazil/. São Paulo is one of just four venues with local ICC case management offices, along with New York, Hong Kong and Singapore. 57 Objection to foreign award No. 9,412-EX, Justice João Otávio de Noronha, opinion dated 19 April 2017. 58 Objection to foreign award No. 14,408-EX, Justice Luis Felipe Salomão, opinion dated 21 June 2017; objection to foreign award No. 12,781-EX, Justice João Otávio de Noronha, opinion dated 7 June 2017. 59 Conflict of jurisdictions ('conflito de competência') No. 139,519-RJ, Justice Maria Helena Costa, opinion dated 11 October 2017. 60 The Constitution has several provisions to the effect that oil and gas are strategic national resources and their exploration is subject to public interest, with part of the revenue being earmarked for the oil-producing states and cities (e.g., Articles 20 and 177). 61 Appeal No. 1,096,912-SP, Justice Luis Felipe Salomão, opinion dated 20 February 2018; appeal No. 975,050-MG, opinion dated 10 October 2017; objection to foreign award No. 12,781-EX, Justice João Otávio de Noronha, opinion dated 7 June 2017; appeal No. 1,239,319-SC, Justice Raul Araújo, opinion dated 14 March 2017; conflict of jurisdictions No. 146,939-PA, Justice Marco Aurélio Bellizze, opinion dated 23 November 2016. There are several other earlier precedents. 62 Appeal No. 1,550,260-RS, Justice Ricardo Villas Bôas Cueva, opinion dated 12 December 2017. 63 Appeal No. 1,602,076-SP, opinion dated 15 September 2016. 64 Appeal No. 1003528-36.2016.8.26.0011, Justice Francisco Loureiro, opinion dated 1 March 2018. 65 The opinion is in line with Enunciation No. 16 of the Meeting. 66 Appeal No. 0053131-89.2017.8.19.0000, Justice Cláudio Dell'Orto, opinion dated 27 September 2017; appeal No. 0017387-33.2017.8.19.0000, Justice Cláudio Dell'Orto, opinion dated 7 June 2017. 67 Standing to join the proceedings is also disputable. Pursuant to Articles 159 and 246 the Brazilian Corporations Act, the corporation and minority shareholders may pursue claims against the controlling shareholders and against directors and officers, but there is no permission for shareholders to pursue claims against the corporation. 68 According to the CESA Study, proceedings administered by the Camarb, CAM, Ciesp/Fiesp, Amcham and CAM-CCBC in 2016 involved 37 parties who qualify as public law entities, and an additional four parties were involved in ICC proceedings.